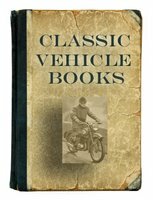 There are no Adler motorcycle books at this time. There is an original Adler motorcycle brochure available. Originalprospekt: Adler, MB 200, Zweizylinder Zweitakt (date unknown). Original brochure on Adler MB200 2 Cylinder, Two Stroke motorcycle.